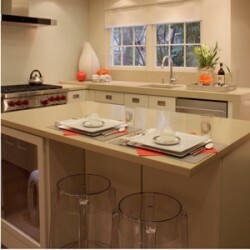 Construction Resources provides luxurious countertops for kitchen and bath remodeling projects. What people may not know, however, is that the company does charitable work as well. Recently, the company donated its services to the Inspiration House, part of the Cathedral Antiques Show & Tour of Homes. As part of the donation, Atlanta Kitchen (part of Construction Resources) provided template, fabrication and instillation services for concrete slabs that were used to create concrete countertops. 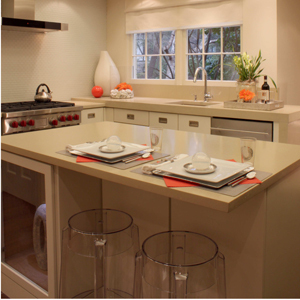 The finished product was one of the focal points of the Inspiration House kitchen, which was designed by residential design-build firm HammerSmith. The project was a great opportunity for Construction Resources to put its talents to good use. The Inspiration House was one of four homes at the 40th annual Cathedral Antiques Show & Tour of Homes. The show was presented by the Episcopal Church Women of the Cathedral of St. Philip and also included lectures and an antique show. The proceeds from the event went to H.E.R.O. for Children, an organization that helps children affected by HIV-AIDS.